Retailer of a wide range of products which include antilia glass countertop, marrakesh design on vitreous countertop with single-hole, marrakesh design on camber undercounter lavatory, briolette vessel, marrakesh design on bol faucet and laureate design on caxton undercounter with polished gold on. 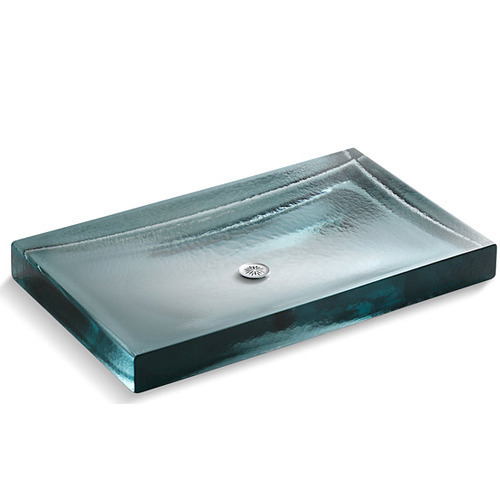 We have carved niche in the industry by offering an extensive range of Antilia Glass Countertop. 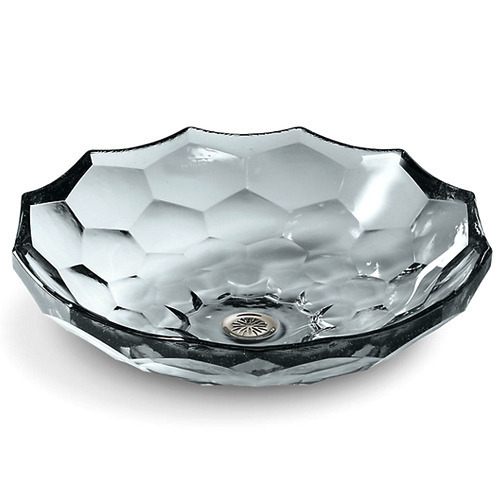 Crafted of cast glass, this basin makes a distinctive statement of quiet luxury, in an expansive design that becomes a centerpiece in your bath. The subtle rippled texture of the glass conveys the substantial force of nature and its shifting fluidity, and the durable surface is remarkably easy to clean. 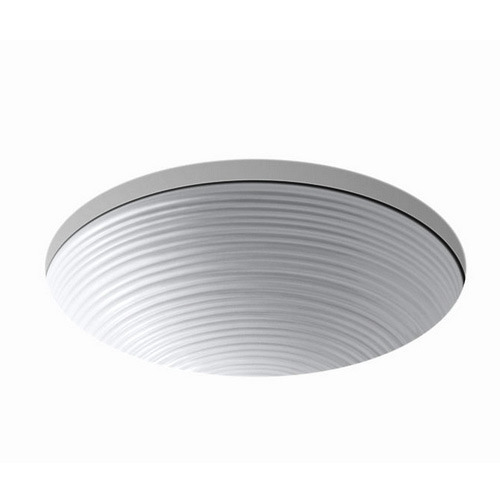 The offered top is highly valued in the market for its attractive look, captivating design and accurate dimensions. Apart from this, our offered top can be availed by our clients at feasible prices. Named for the ancient capital of Morocco, Marrakesh was inspired by Moorish architecture found in this magical city that once served as a stop along a major trade route to the famous Timbuktu. 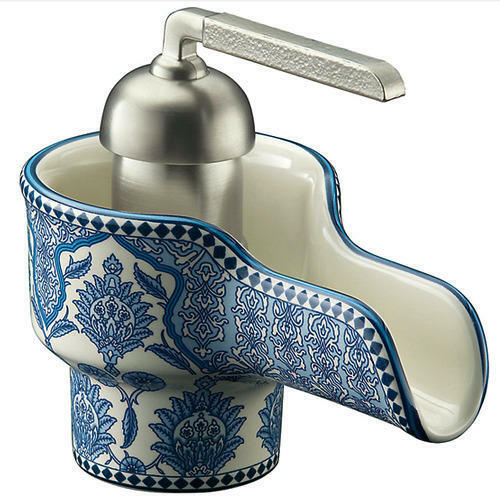 Specifically, Marrakesh's top found inspiration from mosaics found in a quaint Moroccan courtyard, while the intricate and abstract floral pattern that embellishes the lavatory basin was inspired by artwork found in mosques. Owing to the expertise of our professionals, we have emerged as the foremost organization of an excellent quality array of Marrakesh Design On Camber Undercounter Lavatory. Our offered product is manufactured & designed by our highly experienced craftsmen using high quality material and cutting edge technology. 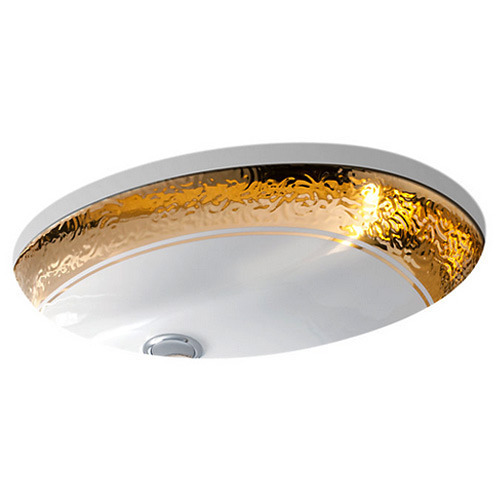 Owing to its perfect finish and smooth finish, our offered product is highly renowned in market. Further, we offer this product to our clients in customized options to fetch maximum satisfaction of our clients. Our organization has successfully expanded its business in market owing to the offered elevated quality array of Briolette Vessel. This vessel displays a uniquely faceted shape inspired by the precisely cut surfaces of precious stone. Gently curved walls highlight the natural textural qualities of glass and create a striking reflective effect. 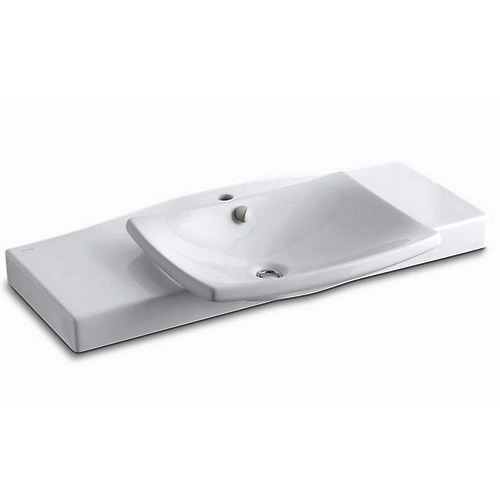 This vessel sits on top of the counter as a brilliant addition to your bath or powder room. Apart from this, clients' can avail this vessel form us at reasonable price. 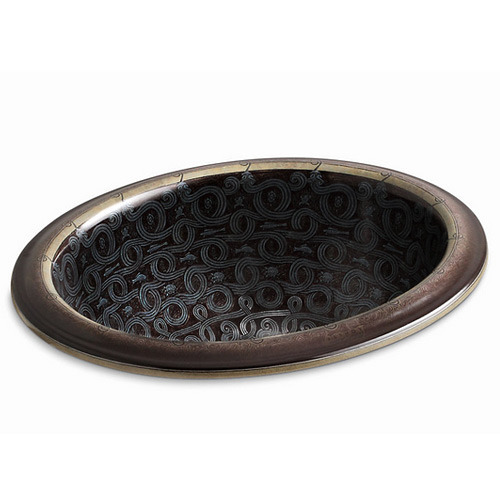 Inspired by South Asian decorative traditions, the Nepal pattern makes an artistic statement, drawing on Henna ceremonies and textile techniques to add a distinctive touch to this Conical Bell vessel sink. Delicate detailing and gentle shifts in tone and color gracefully reveal intricate pattern work. The Translucent Blue base creates a calming effect while enhancing the tone-on-tone quality. A Chinese bronze basin dating from 475-221 B.C. served as inspiration for Serpentine Bronze. The luxurious pattern of turtles, fish, and intertwining serpents is applied to an Intaglio sink, adding exotic beauty to your bathroom. Complete this sink with your choice of a wall- or counter-mount faucet. 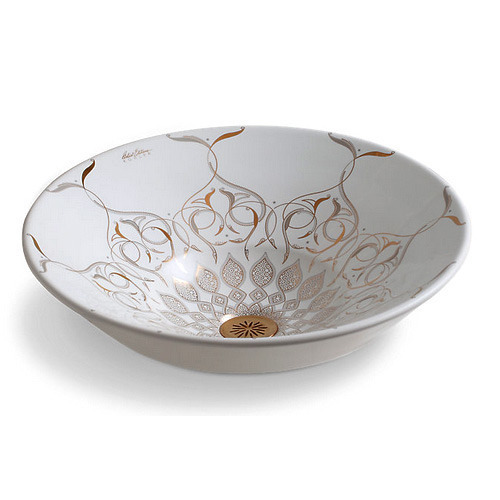 Influenced by the look of handcrafted pottery, the Twirl design on this Camber under-mount basin features horizontal grooves enhanced with a unique glazed finish. Varied in width and depth, the grooves allow the glaze to pool and separate randomly, revealing the color of the clay body beneath and reflecting a handmade look. Laureate combines a textured acanthus leaf pattern with a metalwork style used by the Ottoman Turks. 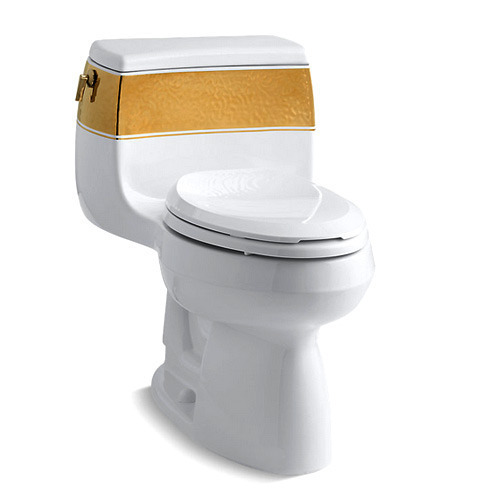 Found in 18th-century embossed fabrics and architectural details, the stunning Laureate leaf motif now embellishes this graceful one-piece Gabrielle toilet. The elongated bowl and standard chair height add comfort to this dramatic design. A 1.28-gallon high-efficiency flush provides significant water savings of up to 16,500 gallons per year, compared to a 3.5-gallon toilet, without sacrificing performance. 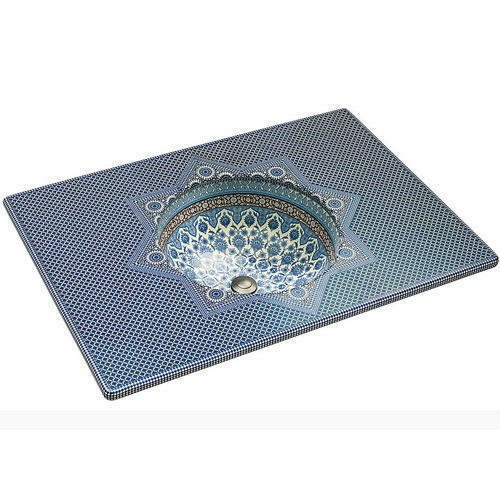 Keeping track with the latest technological developments, we are offering a premium quality Marrakesh Design On Vitreous Countertop With Single-Hole. It was inspired by Moorish architecture found in this magical city that once served as a stop along a major trade route to the famous Timbuktu. 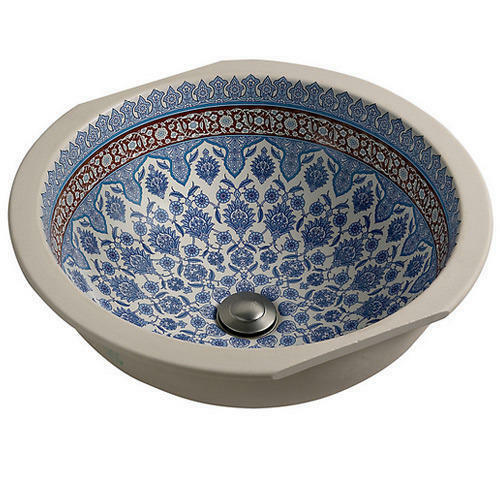 Specifically, Marrakesh's top found inspiration from mosaics found in a quaint Moroccan courtyard, while the intricate and abstract floral pattern that embellishes the lavatory basin was inspired by artwork found in mosques. Before delivering at our end, we closely inspect this product on various quality parameters. 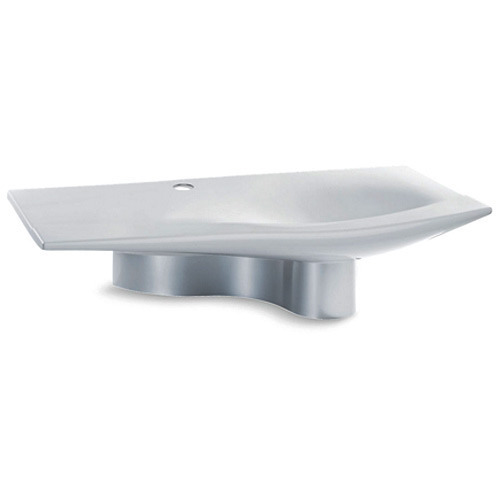 Flowing lines, dynamic, fine curves and light highlighted by a metallic casing that brings character to the vanity top. An elegant finishing touch to traditional decor, Antique faucets and accessories bring nostalgic charm to bath and powder rooms. 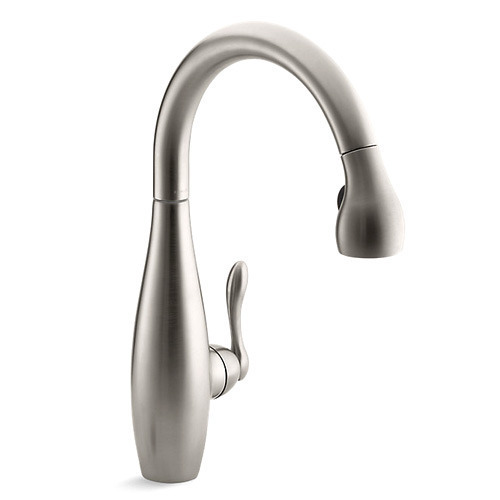 This widespread sink faucet features two oval handles, laminar flow for a strong, solid stream of water, and easy-to-install and leak-free Ultra Glide(TM) valves. Complete this faucet with stylish ceramic handle skirts. Create a look all your own with the Artifacts collection. 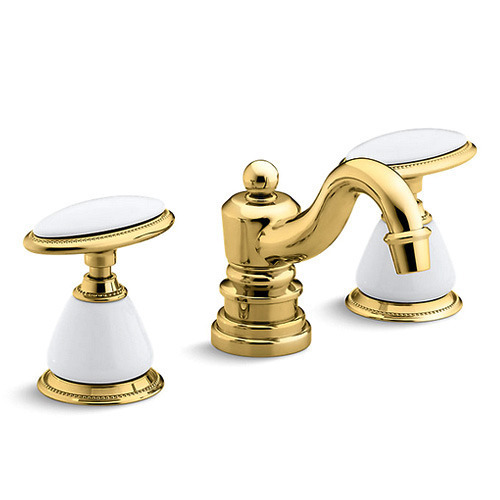 Timeless and classic in its inspiration, Artifacts allows you to coordinate faucets, accessories, showering, and finishes to express your personal style. 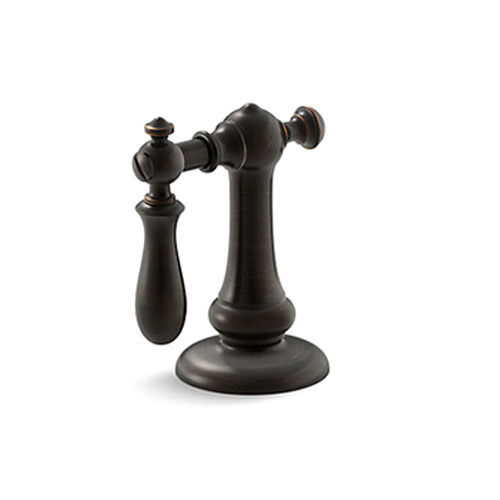 Artifacts faucets combine quality craftsmanship with artisan designs to lend character and authenticity to your space - as a finishing touch or the central piece to build the room around. 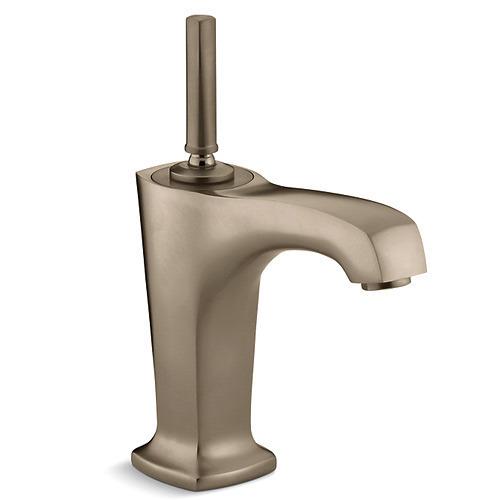 These unique swing lever handles feature easy-to-install and leak-free Ultra Glide(TM) valves. The minimal detailing of the Clairette faucet is ideal for contemporary kitchens. Its high spout effortlessly clears the largest pots, and a pull-down spray head allows you to place water right where you need it, switching between stream and spray at the touch of a button.